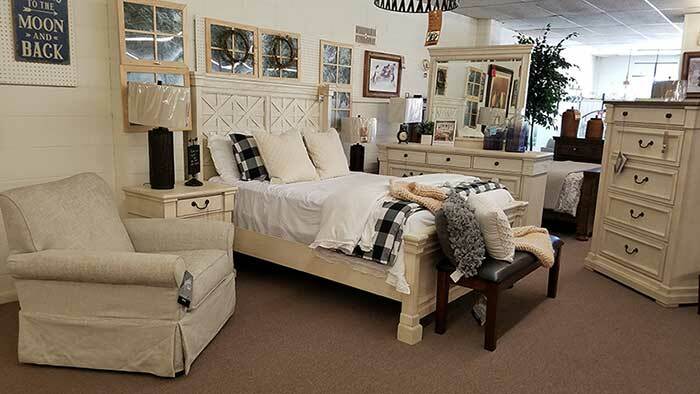 We can help you create the look you want with any of our popular home furnishing lines. If you like the industrial look your are not along. You can create this room with pieces 1 through 4. All are available at Maupin's either in the store or by order.